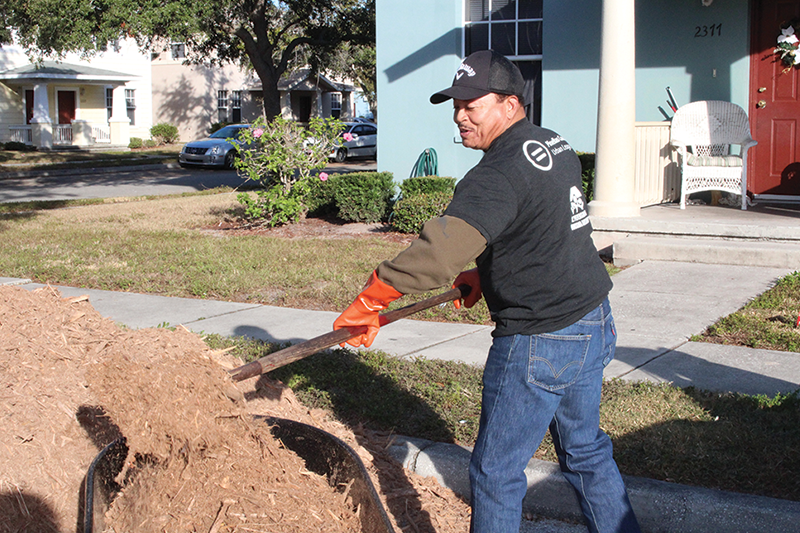 CEO of St. Petersburg Housing Authority Tony Love shoveling mulch. 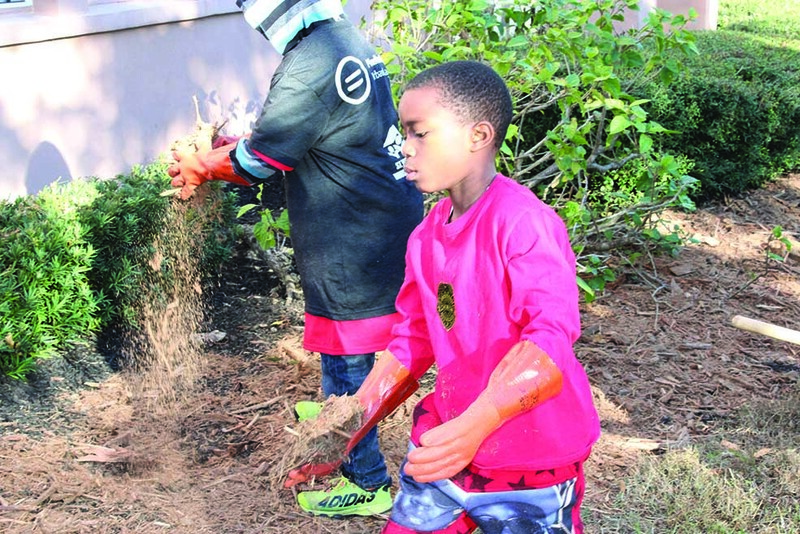 ST. PETERSBURG – The Pinellas County Urban League (PCUL) and Leadership Florida, a statewide community of leaders working for a better Florida, partnered with each other along with the St. Petersburg Housing Authority to spruce up Jordan Park last Saturday, Dec. 10. 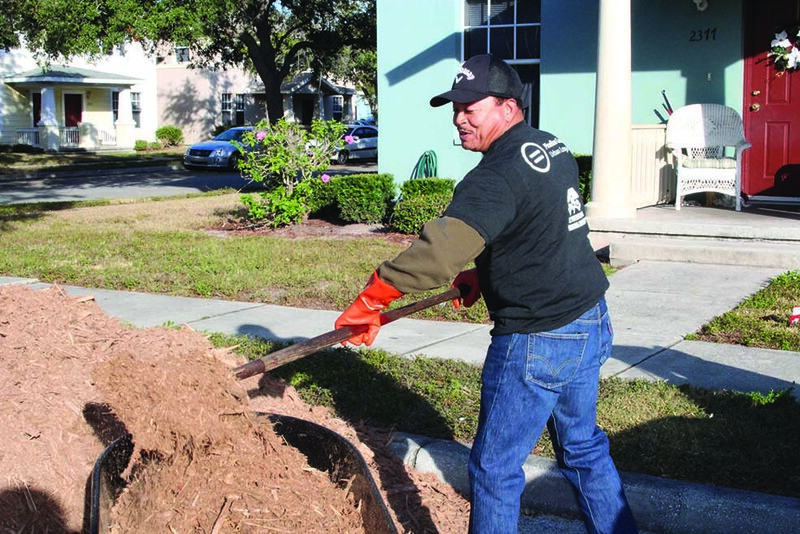 Through Leadership Florida’s Connect Florida program, volunteers from all over the state spent the day spreading mulch and picking up garbage across the public housing complex. 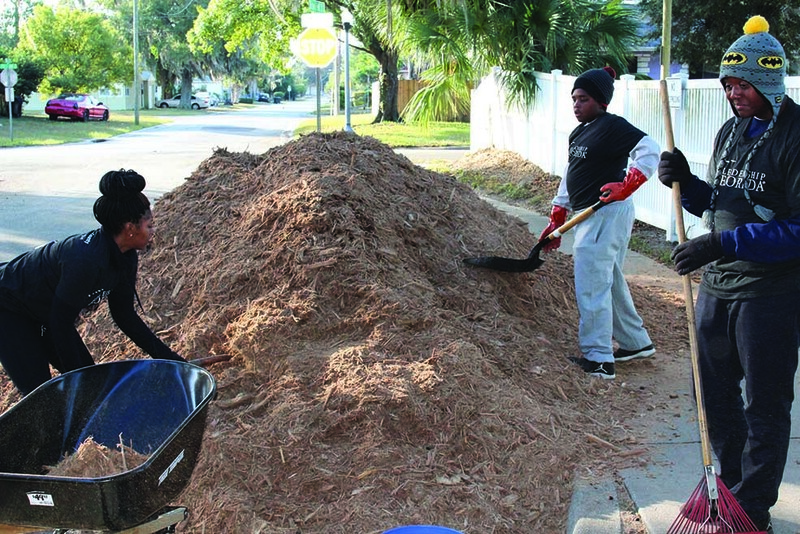 “There’s 103 buildings, so that’s pretty much going to take the day,” said Robin Adams, an asset management officer at the St. Petersburg Housing Authority. 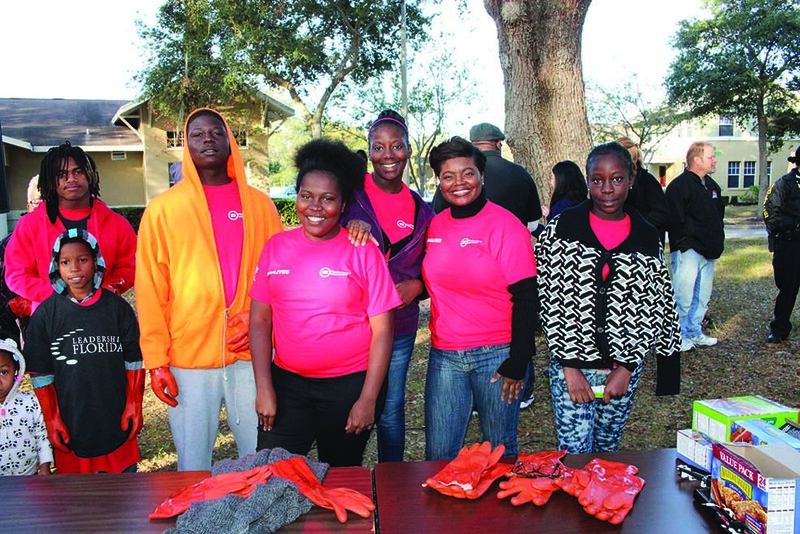 Alex Price, co-chair of Connect Florida, explained that Leadership Florida is “all about state pride,” and on this day of service, nine projects were going on throughout the major regions of the state, he explained. 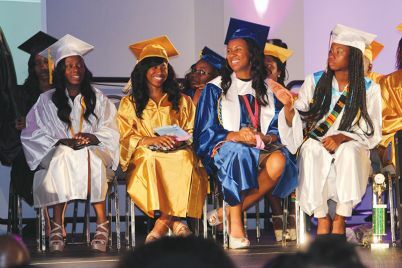 “We got in touch with the Urban League and the housing authority because we heard they were doing great work in the area and said, ‘Hey, would you be interested in partnering with us in this sort of flagship service project?’” Price said. 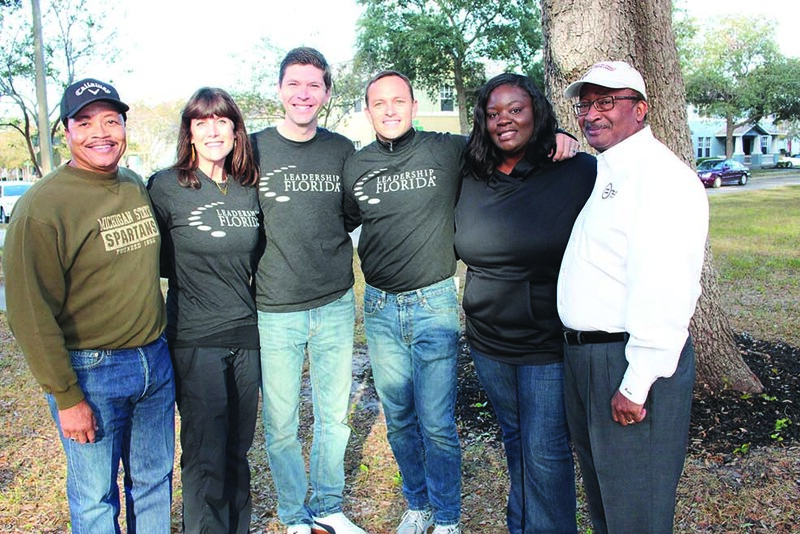 The organization recruits 45 to 50 volunteers that go through a class experience throughout the year, and when they graduate they become alumni of Leadership Florida. As one of the leaders of Leadership Florida, Price wants these members to understand the “back end” of what the community is going through. “What is the journey of the community historically? Where is it going? Where are the leaders wanting to take it so they could be more advocates to the area as they go back to their respective parts of the state and they can tell that story,” he said, adding that the educational aspect of this day is as important as the practical one. Once the St. Petersburg Housing Authority purchases Jordan Park next year from the out-of-state management company that currently owns it, they along with the PCUL will roll out a new program called the Financial Empowerment Center. 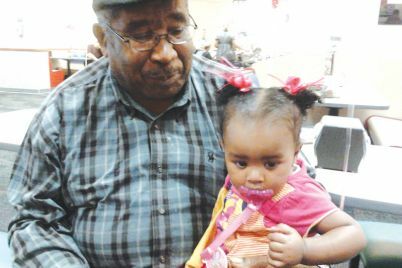 This program will teach residents of Jordan Park about credit—how to establish it, how to clean it up and how to maintain a good credit score. The program includes a class that teaches people the ins and outs of their credit reports and ratings. 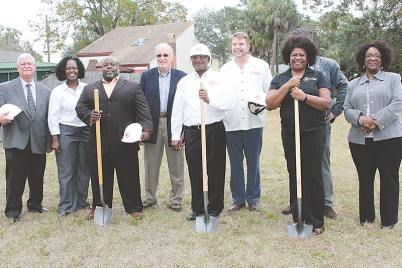 Watson Haynes II, president & CEO of the PCUL said they will also be working closely with economically challenged families in helping them move out of public housing and obtain a home of their own. A child may be having problems because his parent has two or three jobs, he explained. “How can we as the Urban League take those two or three jobs and make it one job?” he said, adding that they aim to provide opportunities for families. 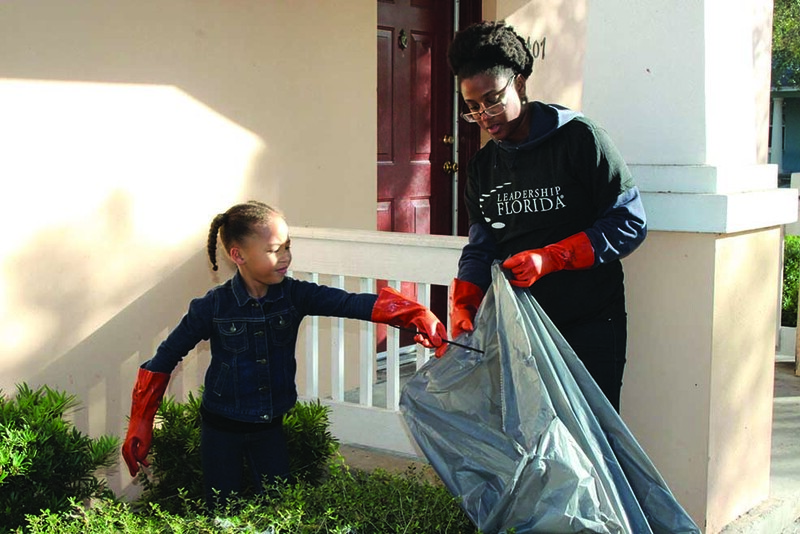 Chester Spellman, chairman of the Connect Florida Board of Governors, noted that this year marked the first statewide day of service for Leadership Florida. “We’re just really excited about the impact that we’re going to make not only in this community but in all nine of our regions across the state,” he said. The Jordan Park service project is one of nine projects taking place throughout the state, Price said. Other projects in regions across Florida include volunteer activities, such as serving meals or packaging food in food banks to provide holiday meals for families. “At the end of the day, it’s about impact,” Price said. Jordan Park, one of the oldest public housing communities in the country, may look all right on the outside, Haynes said, but you have to look on the inside. That’s where people have faced all kinds of challenges. Haynes credits Tony Love, CEO of the St. Petersburg Housing Authority, in buying back the housing complex to effect changes and improve conditions. “This day is made possible because of a guy who came to this community and said, ‘I am not going to let this go down,’” said Haynes about Love. Love, whose career in the affordable housing industry spans almost four decades, is a nationally recognized leader. Love estimates it will be February before the St. Petersburg Housing Authority can officially take over.